Collecting commemorative stamps can provide a great introduction to history. In 1936 and 1937, the United States Post Office issued a series of ten Army and Navy commemorative stamps honoring heroes from the Revolutionary War through the Spanish-American War. 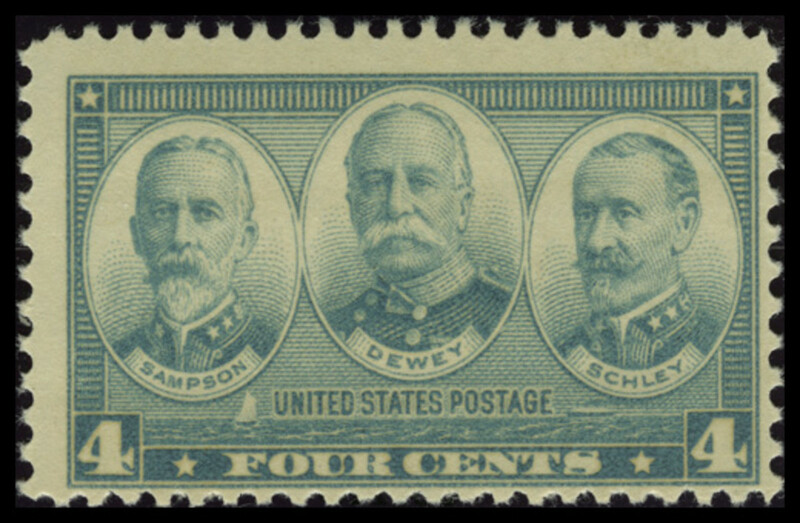 The four-cent Navy commemorative honors Admirals William T. Sampson, George Dewey, and Winfield Scott Schley, naval heroes of the Spanish-American War. This stamp showcases the best of the turn-of-the-century Navy. 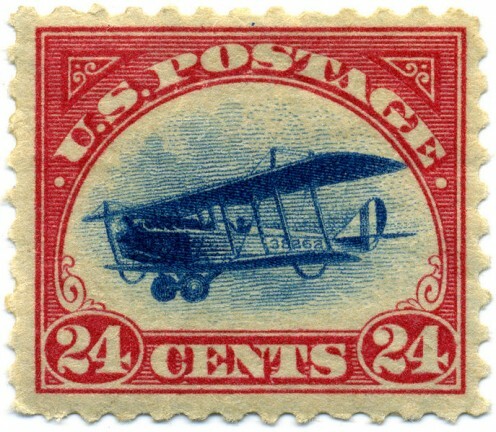 Airmail stamps are not just stamps. They are pieces of aviation and postal history going back some 1 1/2 centuries! "Airmail Stamps..." takes a look at the history and examples of these stamps. Learn history by collecting stamps. From 1936 to 1937, the U.S. Post Office issued a series of ten commemorative postage stamps featuring military heroes from the Revolutionary War through the Spanish-American War. 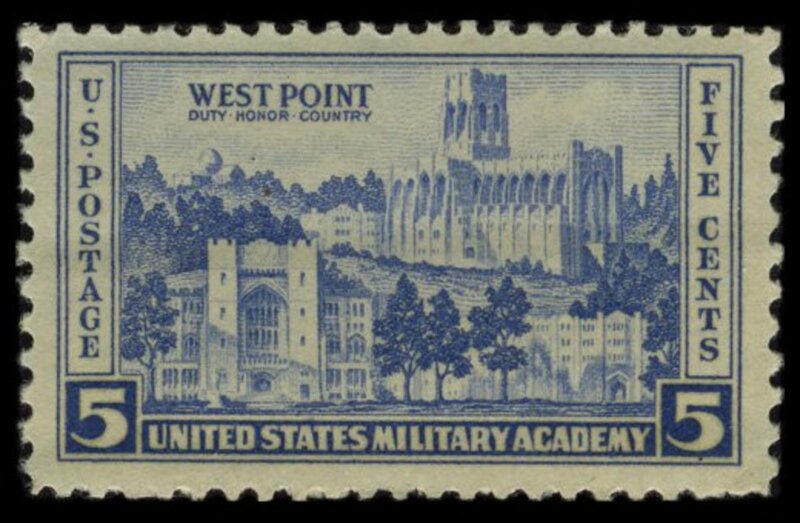 The five-cent Army stamp pays tribute to the United States Military Academy at West Point, the nation's oldest service academy. The stamps provide a great introduction to early U.S. military history. Stamp collecting is wonderful way to learn history. From 1936 to 1937, the U.S. Post Office issued a series of ten commemorative postage stamps featuring military heroes from the Revolutionary War through the Spanish-American War. 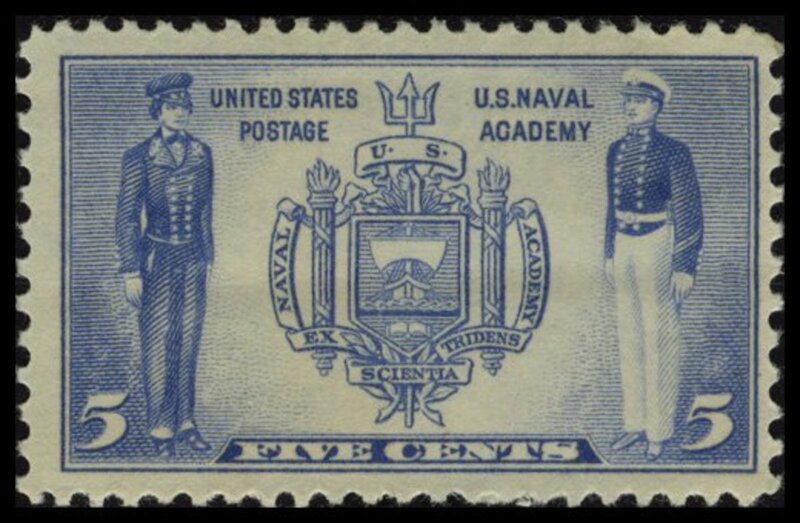 The five-cent Navy stamp pays tribute to the United States Naval Academy in Annapolis, Maryland, the nation's second-oldest service academy. Starting with the official USNA seal on the stamp, you can learn some of the history of the Naval Academy. Learn history through stamp collecting. In 1936 and 1937, the U.S. Post Office issued a series of ten commemorative postage stamps honoring military heroes from the Revolutionary War through the Spanish-American War. 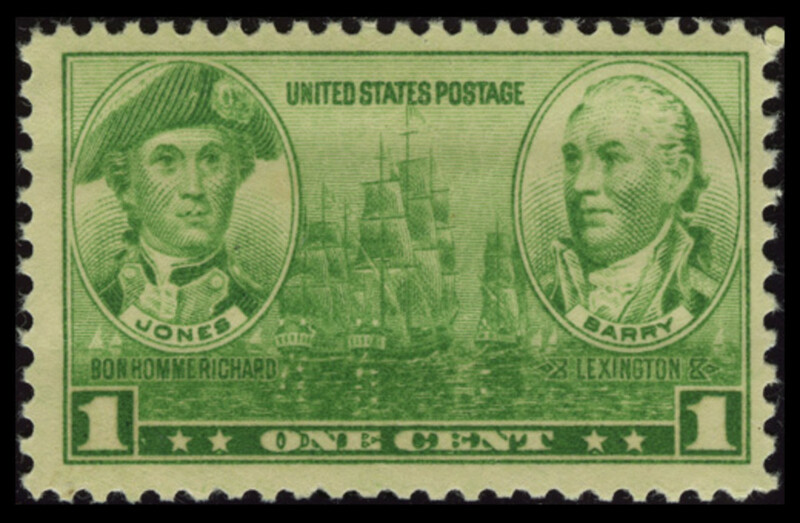 The one-cent Navy stamp honors Revolutionary War naval heroes John Paul Jones, captain of the Bonhomme Richard, and John Barry, captain of the Lexington. The stamps provide a great introduction to early U.S. military history. Although stamp collecting has never been a primary passion of mine, I have faithfully preserved my mother's and grandmother's collections. Learn history through collecting stamps. In 1936 and 1937, the U.S. Post Office issued a series of ten commemorative postage stamps honoring Army and Navy heroes from American wars. 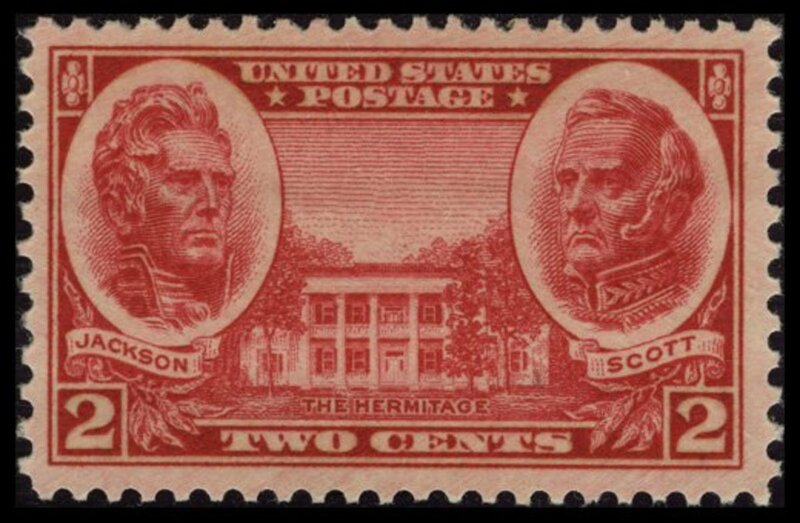 The two-cent Army stamp honors Generals Andrew Jackson and Winfield Scott, and also includes a view of Jackson's home The Hermitage. The stamps provide a good way of learning about early U.S. military history. Collecting stamps is a great way to learn history. In 1936 and 1937, the U.S. Post Office issued a series of ten commemorative stamps to honor heroes from the Revolutionary War through the Spanish-American War. 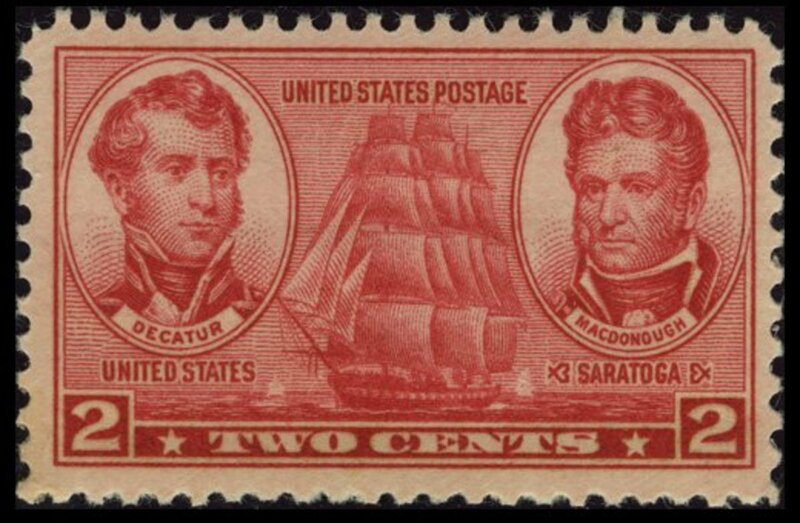 The two-cent Navy stamp honors Stephen Decatur and Thomas Macdonough, naval heroes in the Barbary Wars and the War of 1812. The stamps provide a great introduction to early U.S. military history. 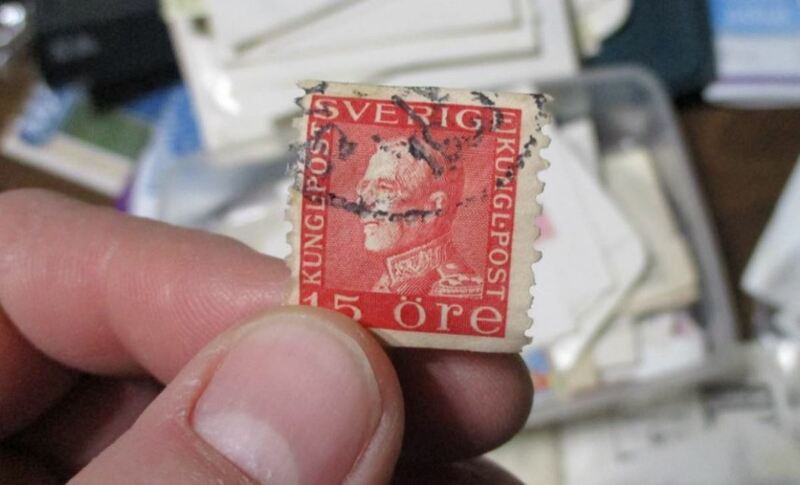 Learn history through stamp collecting. 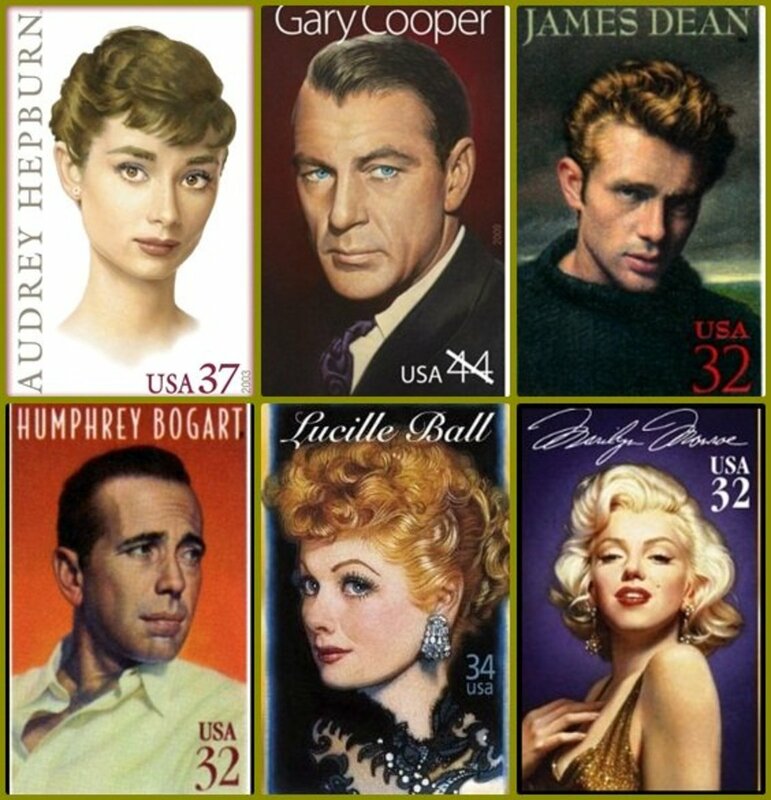 From 1936 to 1937, the United States Post Office issued a series of commemorative postage stamps that featured Army and Navy heroes from American wars prior to 1900. 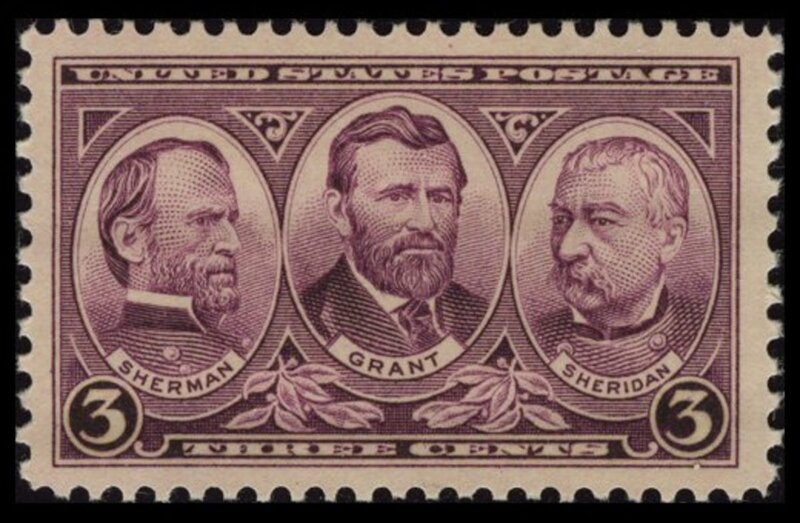 The three-cent Army stamp honors Civil War Generals Ulysses S. Grant, William Tecumseh Sherman, and Philip Sheridan of the Union Army. The stamps are an interesting window into U.S. military history. Learn history by collecting stamps. In 1936 and 1937, the U.S. Post Office issued a series of ten commemorative postage stamps honoring military heroes from the Revolutionary War through the Spanish-American War. 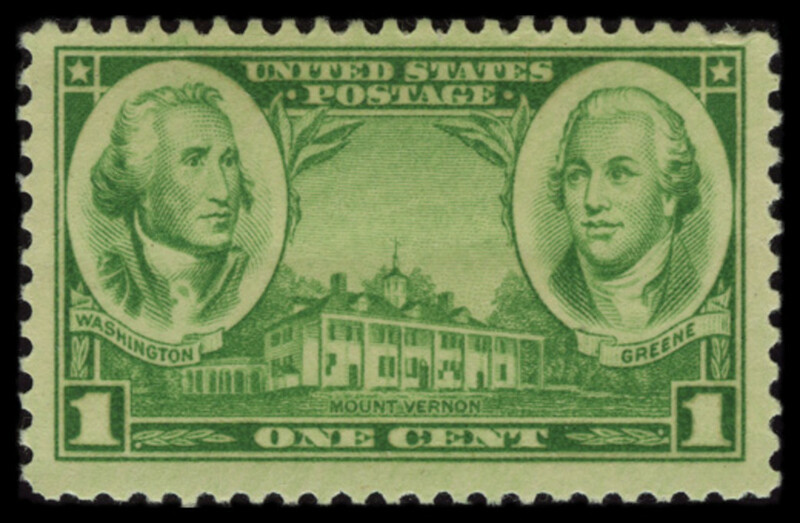 The one-cent Army stamp honors Revolutionary War Generals George Washington and Nathanael Greene, and also includes a vignette of Mount Vernon. The stamps provide a window into early U.S. military history. 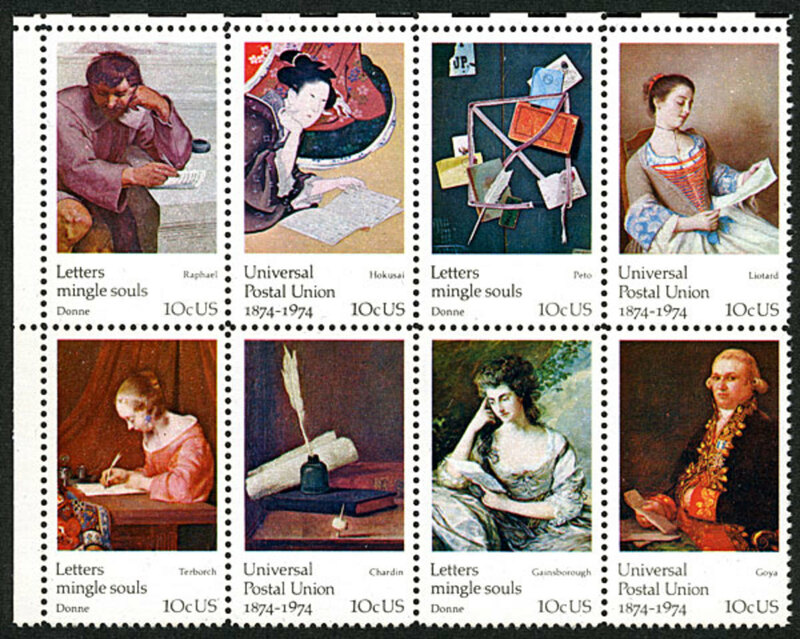 In 1974, the United States Postal Service issued a beautiful set of commemorative stamps in recognition of the 100th anniversary of the founding of the Universal Postal Union. 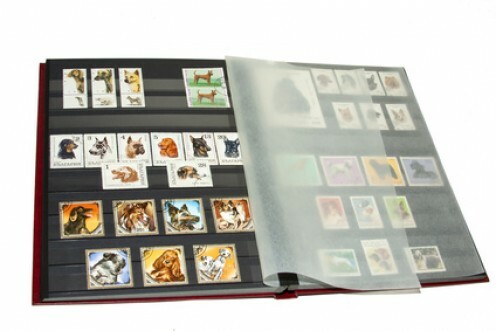 Each of the eight stamps in the set features a famous work of art by an internationally renowned artist that reflects the theme of reading and writing letters. These stamps are a miniature art gallery, with masterpieces by Raphael, Hokusai, Peto, Liotard, ter Borch, Chardin, Gainsborough, and Goya. Learn history by collecting stamps. From 1936 to 1937, the United States Post Office issued a series of ten commemorative postage stamps featuring Army and Navy heroes from American wars in the 18th and 19th centuries. 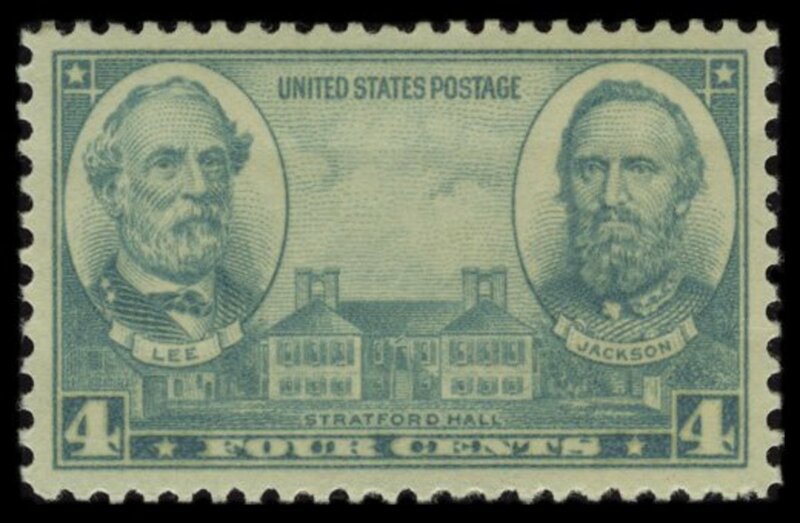 The four-cent Army stamp honors Civil War Generals Robert E. Lee and Thomas "Stonewall" Jackson of the Confederate Army, and also includes a view of Robert E. Lee's birthplace, Stratford Hall. These stamps make American military history come alive. 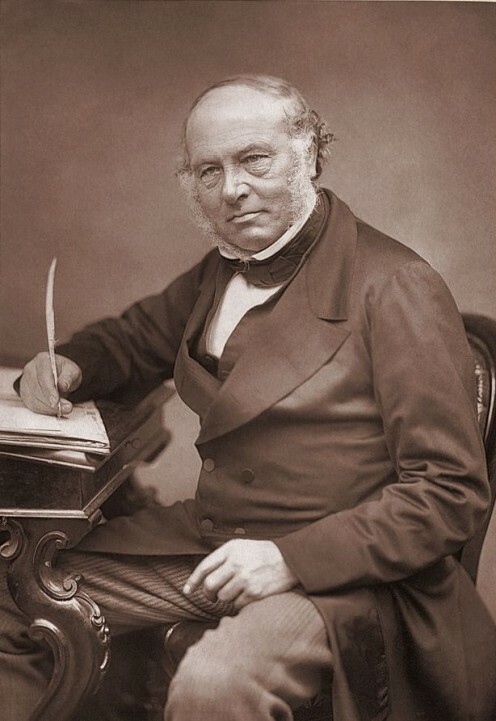 This article covers everything from preprinted albums and loose leaf binders to archival quality stock books for valuable philatelic items. Collecting stamps provides a wonderful and fun way to learn history. In 1936 and 1937, the U.S. Post Office issued a series of ten Army and Navy commemorative stamps honoring heroes from the Revolutionary War through the Spanish-American War. 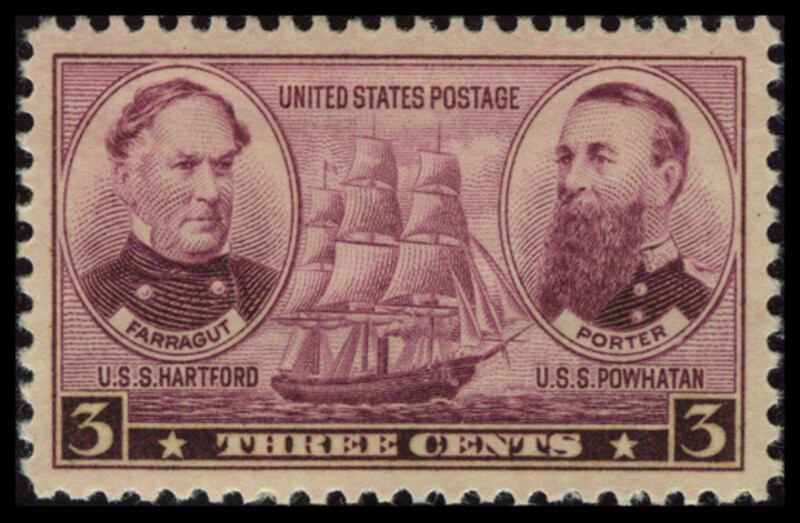 The three-cent Navy stamp honors Admirals David Farragut and David Porter, naval heroes of the Civil War and adoptive brothers. The stamp provides a nice introduction to the naval history of the Civil War.